Well, I spent most of the year meandering down memory lane, listening to old favorites, in an attempt to brainwash my children into becoming a bit more like dear old dad. I get a real kick out of hearing my kids sing along, words seared into memory, to songs I know they’ll never hear on the radio, or pretty much anywhere else for that matter. All right, you might hear “Clash City Rockers ” on the airwaves, but “Tennessee Jed ” or “We Sing Hallelujah ”? Hearing a six year old sing along to Richard Thompson is somehow comforting, and joyously, deliriously demented to me. And just so you don’t think my children have no free will at all, I will mention Declan’s current favorite – “Whip It ”. There is something terribly amusing about hearing him shouting out “Break your mama’s back” … and then saying to me “Dad, I would never really break Mom’s back, you know.” Finn just wants to hear music; it doesn’t really matter what it is, as long as it’s loud, and I’m not singing along with it. Her constant refrain … “Daddy, no, no, you don’t sing!” Oh well, from the mouths of babes and all that. Nat just shakes her head and laughs. Suffice to say, as usual, my apathy toward new music continues, so there is a certain paucity to this year’s assemblage. I will mention right off the bat though, that there are a number of releases that came out last year that I haven’t bought yet, including the Smiths Complete box set, the Loudon Wainwright III 40 Odd Years box set, and some form of Sam Phillips’ website only output Long Play and/or Solid State. Declan’s taste runs pretty much straight toward loud, crunching guitars and pounding drums, so convincing him of the total awesomeness of Stiff Little Fingers didn’t take too long. Live in Abberdeen 1979 came out a few years ago, but almost immediately went out of print, so I was pleasantly surprised to find a nice, inexpensive cut – out on amazon.com about a month ago. The show was taped for the Hanx! 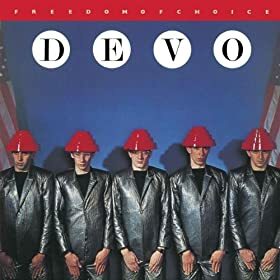 album, and features blistering versions of classic tracks from the essential Inflammable Material and Nobody’s Heroes albums. Jake Burns sounds as though he just swallowed a couple of beer bottles worth of broken glass, and then smoked a pack of cigarettes to soothe his throat. The between song banter is also pretty amusing, though definitely not rated for six year olds! One of my all time favorite artists, Richard Thompson, has been very busy for the past couple of years. Although I missed his East coast tour this fall, my wife graciously purchased the career spanning Live at the BBC box set for me. The set features 3 CDs worth of music from 1973 – 2009 and a DVD with performances from 1975, 1981, & 1985. The first 2 discs have a nice mix of Richard & Linda acoustic and electric, Richard solo, and also with the great ‘85 – ‘86 electric band. The third disc is Richard solo 2001 – 2009. The performances are typically amazing throughout the set. What I’ve seen of the DVD is also quite good (with an exquisite take of “A Heart Needs a Home” from 1975). While not for the casual Richard Thompson fan (is there such a thing? ), for devotees it’s a required purchase. What would my list be without a mention of the good, old Grateful Dead? The granddaddy band of archival releases really went into the far reaches of absurdity this year. The dead.net organization released 5 titles (all 3 – disc sets) from the Road Trips series in 2011 (but then pulled the plug on that line). Three of those sets are really pretty good; Volume 4, Number 3: Denver 1973, Volume 4, Number 4: Philadelphia 1982, and Volume 4, Number 5: Boston 1976. Depending on what era of the Dead you like, one of those shows should fit the bill. The really BIG news for crazy deadheads though, was the release of the entire Europe ’72 Tour: 22 shows (across 73 discs, for about 70 hours of music)! 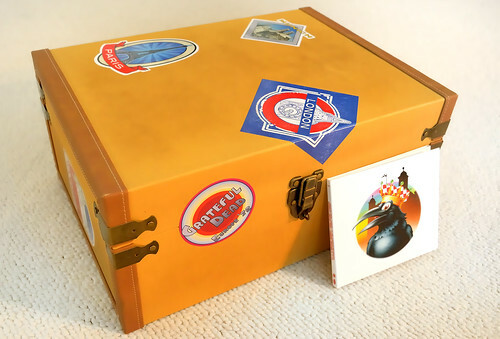 Of course, that’s even too much Grateful Dead for me, but the limited edition (of 7200) box set (with coffee table book, tour trinkets, and special steamer trunk box) sold out in about 4 days. They came to their senses though, and the discs are available as a 73 disc bundle (without the goodies) or as separate shows at dead.net. Plenty of music there for the future. While I like to gripe a lot about how lame new music is, there were some new albums that did make me pretty happy this year. Much of this will sound very familiar. Be the first to comment on "Matt Nerney Poop ’11"